On Tuesday March 26 and Thursday March 28 it is possible for non-golfers to get a free introductory lesson to the game of golf. These lessons will be given by a licensed golf instructor and will take place at the ESTEC Golf Club from 17:45 until 18:30. The lessons are available for all ESTEC personnel and their family. Places are limited so register as soon as possible! For registration or more information send an email to info@egcgolf.nl. Or pass by the information stand at the ESTEC main restaurant entrance during lunchtime on Thursday March 21. More dates will be announced if the demand is there. UPDATE: because of current high interest we have already added Tuesday April 2 as an additional evening to get an introduction into golf. Same time 17:45-18:30. More dates may follow! 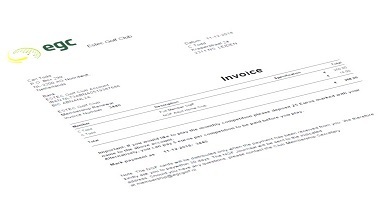 2019 Invoices have been sent to all Members.